I am an Aboriginal eductor and researcher. I hold a Bachelor of Indigenous Studies, Post Graduate Diploma in Education (middle schooling), Master of Education (research) and Doctor of Philosophy. 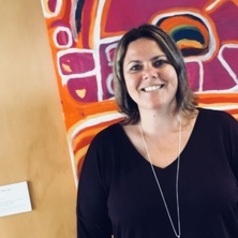 I am an experienced teacher and youth worker and teach and research in the field of alternative education (flexi schools), Indigenous education and well being and creative research methodologies.